A small nation on the island of Borneo, Brunei is an oil rich sultanate in the middle of Southeast Asia. With a small population of less than half a million people, Brunei is very dependent on its well-developed oil and gas industry, and aims at the diversification of its economy. Aiming at helping local businesses and attracting foreign companies, the Bruneian government has implemented a very competitive tax system, which however sets the oil and gas industry aside. Though it aims at diversifying its economy, Brunei is heavily dependent on the oil and gas industry. The authorities have however launched an ambitious plan to diversify the economy and develop the capital, Bandar Seri Begawan. 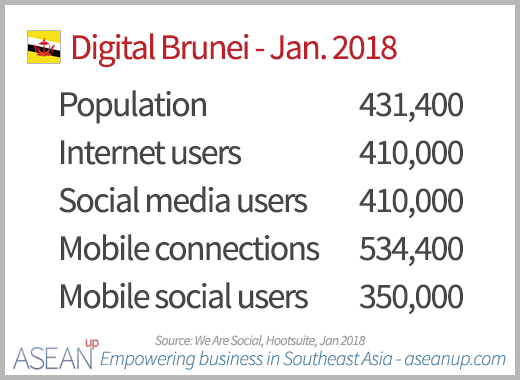 Very well connected, the penetration of digital and mobile technologies in Brunei is very high. With relatively high trade volumes compared to its size, Brunei is very dependent on oil and gas exports and imports. The tax regime of Brunei is generally considered to be very accommodating compared to many other countries: corporate taxes rates are rather low, and no valued added or personal income tax are levied. Some special regimes are however applied in particular cases and industries, such as the oil and gas sector. Bandar Seri Begawan, capital of Brunei, is expecting to see its population of about 200,000 people in 2014 triple by 2035. Integrated in a vision to develop and diversify the Bruneian economy, Bandar Seri Begawan’s development master plan defines objectives that will enable businesses to anticipate its expansion. The Brunei Economic Development Board is a public agency in Brunei focusing on the growth and diversification of the Bruneian economy. Providing information on doing business in Brunei, it helps all those interested in investing and expanding their operations in the sultanate of Brunei. Some maps might come in handy to illustrate your point in your website or blogs, so here is a collection of some free maps available around the web for South East Asia and each of the 10 ASEAN countries: Brunei, Cambodia, Indonesia, Laos, Malaysia, Myanmar, the Philippines, Singapore, Thailand and Vietnam. 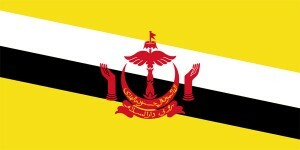 Here are the flag and emblem of Brunei at various sizes to be used in your website, blogs or other visual presentations.